Margate-Coconut Creek Fire Department Capt. Matt Whiteshield remembers hearing about a 7-year-old boy who was visiting his grandmother for Christmas a few years ago. He was upset because he wouldn’t be home for Christmas and thought Santa Claus wouldn’t be able to find him. But Whitefield made sure Santa paid him a special visit. Whiteshield and the Margate-Coconut Creek Firefighter’s Benevolent Association host the annual “A Visit From Santa” event the first couple weeks of December. Around 30 to 40 members participate, and the jolly old elf always makes an appearance. What originally started out as a simple Santa detail—with St. Nick on a firetruck that drove around the neighborhoods—quickly grew to something much bigger. 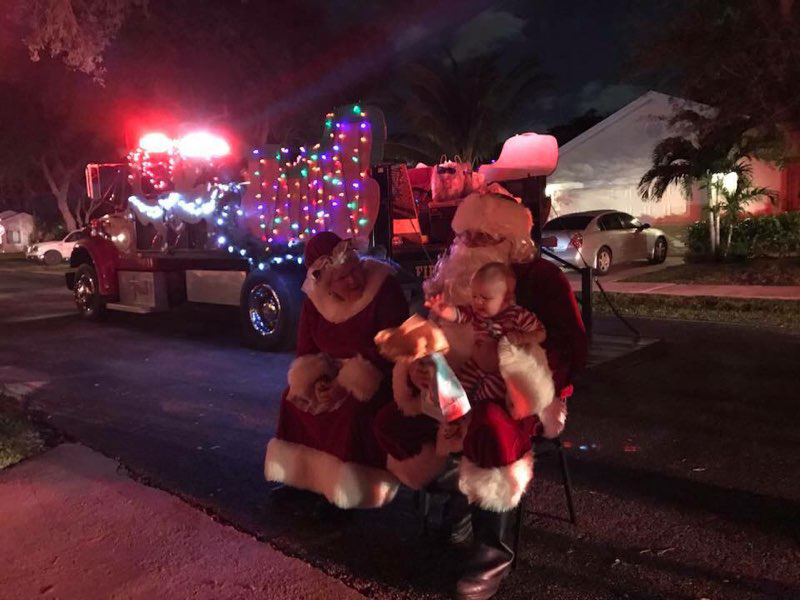 Six years later, Santa Claus visits nearly 100 homes in five days: Margate for three and Coconut Creek for two. Last year, the group distributed more than 500 toys. The group starts around 5 p.m. and doesn’t get back to the station until around 10. There’s a lot of ground to cover, even with a magic sleigh. Sometimes, the group goes above and beyond for struggling families. A few years ago, a family’s home flooded, resulting in black mold. Their 4-year-old girl developed respiratory issues and couldn’t stay at the house. Whiteshield’s team was able to get the family a Christmas tree, presents, a Publix gift card and a digital camera donated by a local business—everything they wanted for the holiday. Whiteshield says his group gets one or two of those families every year and would do more if they knew about them, but not everyone is willing to share their hardships with others. If you want Santa to stop by your house this year, sign up on Nov. 10, 9 a.m.-noon, at Margate Fire Station 98, 5395 NW 24th St., Margate. Visit mfdba.org/visit-from-santa to download the registration form. 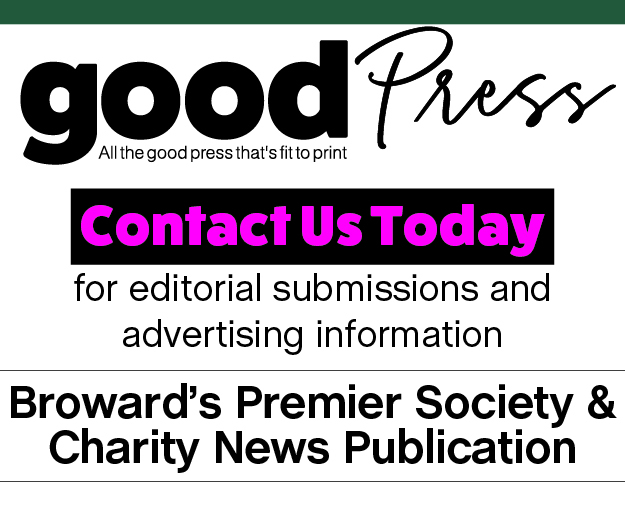 Bring an unwrapped gift or a $10 donation for SOS Children’s Village Florida.